Ah Choo! Ah Choo! Where the's tissue paper. 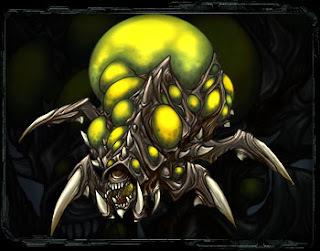 That'z it, I'm officially a certified Baneling and brimming with green goo'ye stuff ready to infect everyone with maximum velocity at the office with lethal doze of Ah Choo! Ah Choo! ...... Today! I Cannot Play-Play-loh! SIGH!